I got to thinking about how I would answer this question and rather than quote numbers this and numbers that, I would share my experiences of my using Amsoil when I first became an Amsoil dealer to begin answering the question of "what's so Special about Amsoil?". 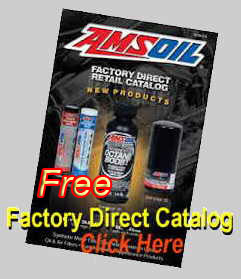 In 1990 I decided to become an Amsoil dealer. Thus began the experimentation on my own equipment to see if I could notice any differences, after all, if I'm going to sell Amsoil I have to have my own positive experiences with the product right? And for me, those experiences had to definitely be positive for if they weren't there would be no point in even attempting to sell Amsoil! See, I'm not a 'salesman', that is, I won't sell something unless I truly believe in the product and know it works as advertised! My first experiences with Amsoil were really positive! In cold climates there simply is zero reason to run petroleum anything in your vehicle other than you didn't know! The improvement between Amsoil synthetic oil and petroleum oil in cold temperatures is drastic, no other way of describing it. In 'normal' climates there still is no reason to run petroleum lubrication, run at least a commodity grade synthetic, (no, all synthetics are not the same, my hope for you is you invest the time to learn why Amsoil synthetic is the one of a select few brands you want to consider). With Amsoil as determined by me when I measured this sort of stuff, expect your up front cost to be covered with fuel economy gains and your investment, (your car, your piece of equipment) to last longer than those around you. My second pickup since my initial exposure to Amsoil is such a vehicle, 628,000km, (390,000 miles) and counting, runs like a top, there are many parts that are original, such as the driveshaft U-joints, fuel pump and injectors, all steering parts. 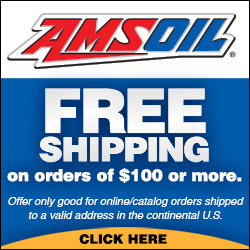 From my early experiences of over 2 decades ago until now, I've had multitudes of positive experiences from numerous very happy Amsoil users, (like the lady with her 370,000 mile BMW 750cc motorcycle running Amsoil that's had no repair work at all, (she has recently bought a new BMW, so Amsoil went into it right away too) that I meet at industry tradeshows who want to share their positive Amsoil experience with me. For these Amsoil users they've now experienced the positive effects using Amsoil brings. Oh sure, they've been told to expect these improvements, but being told and experiencing them first hand are two very different things! In 1990 I bought a used 1981 Ford F250 with a 351M motor and a manual 4 speed transmission from my friend. This pickup would be my first guinnea pig vehicle to test the effects of Amsoil products on. I began by introducing Amsoil to the truck one component at a time, then I would drive the pickup for a week to see if I could notice anything different. Before I started my experiment I thought about this; besides measuring fuel economy could I measure say rolling resistance or feel a difference by how hard the pickup was to push... as in move the pickup physically. I remember the 'push test' vividly as the difference before and after would, after all components where now running on Amsoil...be profound. I remember opening the driver door, putting my hand on the windshield pillar of the truck body and pushing, (the pickup was on the flat, on pavement in the middle of the summer) and I pushed... hard, the plastic pillar covering snapped off in my hand but the pickup didn't budge. Mental note to self, "if this pickup ever dies on the road, don't even bother trying to push it." Before I changed any petroleum fluid out I did a coast down test. I drove this same straight piece of road almost every day. I would get a baseline by shifting into neutral at the same spot at the same speed and see what speed I was doing at the end of my about a quarter mile long test section. This piece of road was ever so slightly downhill. On petroleum I would enter this test at 45 miles an hour and the pickup would slow to 35 miles an hour at the end of my road section. In the winter, when it was real cold, (I mean real cold, -40deg kind of cold!) the gearbox was a real pain to shift! In fact, I couldn't shift it period unless I double clutched each shift, even in temperatures of say -10, until the pickup had been running for at least half an hour, the gearbox with it's petroleum gear oil was still a pain to shift . In went the Amsoil 75w-90... a REVELATION!! The gearbox really stepped up, I could shift smooth as could be. Now in the winter the only time I would even think about double clutching now was when it was -40 or colder and for only the first few minutes of driving. In all other parts of the year the transmission shifted 'like butter' right from cold. On to the transfer case; (this pickup when I bought it was 9 years old and had some 60,000 miles on it), this transfer case was noisy and the 2 wheel / 4 wheel / low range 4 wheel drive lever vibrated so much it buzzed driving down the highway... it was uncomfortable to even touch it with my leg while driving at highway speeds and we're talking about any temperatures here, from winter to summer, it didn't matter, that lever buzzed badly. The transfer case had petroleum ATF in it. In went the Amsoil synthetic ATF. Another immediate major improvement! The noise from the transfer case dropped immediately in half and in time would improve beyond that to where I could no longer hear it. And what about the 2 wheel / 4 wheel / low range 4 wheel drive lever? Chuckle... the buzz stopped almost totally and in time, would stop completely, I mean this...the lever actually buzzed before Amsoil and now it didn't. I could rest my leg against it driving down the highway... I could never do that before. So now with this great success onto harder components to change fluids! Now I changed the rear differential gear lube. So how do you measure this change? I do remember at highway speeds the pickup had more acceleration, at slower speeds I couldn't feel any change but I certainly could measure the change another way! Remember I couldn't push the pickup when it was fully on petroleum lubrication? Now I could push this pickup on the flat at any time of the year except the winter easily, (more on that coming up, I'll solve that too) . My coast down section road test saw the pickup now almost not loose any speed at all, instead of loosing 10 mph in my little test section, the pickup would exit loosing only a few miles per hour. Onto the engine! Where I lived in 1990, (North Western Canada in the middle of oil country), a lot of vehicles ran on propane. Propane was a quarter the price of gasoline and engines ran much smoother than carburated gasoline, made almost the same power and got close to the same fuel mileage on propane as they did on gas. My pickup which originally was carburated gas ran on propane. In went the Amsoil synthetic motor oil. In my travels there was this hill that the pickup never could pull over the top in 4th gear, I always had to shift into 3rd, now with the Amsoil in the engine, the engine had the grunt to pull this hill in 4th, all the way up and over the top. With all this success introducing Amsoil synthetic oil to this then 9 year old pickup I thought I would take the time to actually change out the petroleum grease from the front wheel bearings and change out the petroleum gear lube from the front differentail. Being a four wheel drive swapping out the petroleum grease for the synthetic grease was a pain to do, but I wanted to see what would happen with the rolling resistance in bitter cold. Some background first... for those who've never experienced -40 to -50 degrees cold! At those kind of temperatures, you never use your parking brake! If you did, the brakes wouldn't release and you'd be either stuck or have to drag the rear brakes burning them up! I used this truck as a work truck, so it ran every day of the week. So in bitter cold, normal practice was to leave your engine running in the morning while loading for the days work. I parked in the same spot every day. This parking lot was slightly downhill. With petroleum lubrication in the driveline I never had to worry about the pickup rolling as it simply wouldn't budge! With all the driveline fluids except for the front wheel hubs changed to Amsoil in the bitter cold I still didn't have to worry about leaving the pickup running in neutral and it not rolling away. In fact, at -40deg, the front wheels had enough drag from the petroleum grease that to move the pickup at all on ice, you had to be in 4 wheel drive! If I was in 2 wheel drive on ice, when I went to go, the back wheels would spin and the front wheels wouldn't turn! I tell you this because after I took the time to clean out the petroleum grease and replace it with Amsoil synthetic grease, the pickup's rolling resistance change was truly revolutionary! I remember vividly on the first -40deg winter day of the year where upon returning to my pickup, you know... the same place where I always parked it in the morning while getting ready for the days work, where because of the cold, the whole fleet would leave their engines running, and for manual transmission vehicles, transmissions in neutral... no parking brake...to look up on my return to the parking lot to see my pickup gone! STOLEN? No! For the first time EVER, the pickup had rolled backwards, all the way across the parking lot, missing every vehicle to come to a stop resting against a snow bank some 200 feet away! Wow... now let's do some tests! Glare ice, could I now move in 2 wheel drive? Yes! At -40deg, could I push the pickup? YES! In fact, I could move the pickup as easily as grabbing the top of a wheel and turning it! Putting Amsoil synthetic grease in the front hubs was the final item that would be a paradigm shift in Winter rolling resistance change for this pickup. What about my little roll down test on this slightly downhill piece of road? Even at -40deg entering at 45mph saw my pickup exit at the SAME SPEED... 45mph, same as the Summer. What about fuel economy? I gained 2 mpg, from 12 to 14. Highway, constant speed, (250 miles every weekend trip, same test loop) empty, 17 mpg, loaded with tools, (at GVW weight limit) 14 mpg. 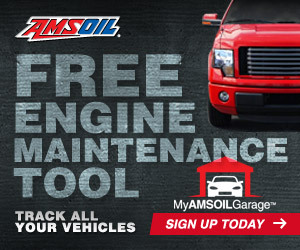 Changing to Amsoil same parameters, loaded truck equipped with tools, 17 mpg. From the fuel mileage gain alone, both of the pickups above using Amsoil saw the added cost paid for the product returned back and more in reduced fuel expense over petroleum. Having a healthier longer lasting vehicle was the gravy part of my early day Amsoil experience. When I finally sold this pickup it had about 250,000 miles on it. Other than brakes, belts and such the entire driveline was untouched. Even the front end steering components, front and rear driveshaft u-joints, rear axle seals... everything lasted the entire time I owned this vehicle, (Amsoil grease). The engine... At about 140,000 miles I replaced the clutch throw-out bearing. Since it was winter I brought my pickup into a service bay at work. No hoist; to get at the clutch I lifted out the engine leaving the transmission and transfer case in place. Having the engine out I decided to open it up and replace all the gaskets and seals just for preventive maintenance, not because any seal or gasket was leaking. I expected cleanliness, I didn't expect an engine that looked brand new... it was spotless inside. This engine even though it had many miles on it ran like a top. I landed a repair shop who specialized in propane powered vehicles when I brought my truck to him to have the idle mixture finely adjusted with a gas analyzer. You should have seen the look on his face when he first shoved the wand into the tailpipe. Something wrong? He took the wand out and took it outside the building to calibrate the equipment with fresh air. Shoved the wand into the tailpipe again and looked at the readings. There was that puzzled look again... and this time a question, "Okay, what have you done to this truck?!" The engine has Amsoil 10w-30 synthetic, other than that is bone stock original. My unassuming 351M engine with 200,000 miles on it was the cleanest running engine that propane vehicle specialist had ever seen on his analyser. He became an Amsoil retailer on the spot. 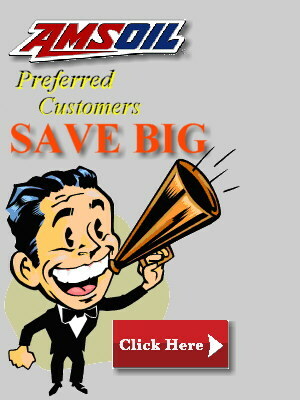 In my travels looking for Amsoil business my truck became part of the conversation more than a few times. See, I was told several times that 351M motors have soft valve seats and rarely did these engines last beyond 100,000 miles on propane without a top end rebuild, and yet here's a stock 351M with over double that mileage. Did the Amsoil lower the wear rate such that valve orbiting and subsiquent valve seat wear didn't happen at anywhere near the same rate with higher mileage? Looks to be the case as my experiences in the oil patch on million dollar natural gas powered compressors supported much reduced, (actually drastically less) valve stem/guide wear rate when Amsoil synthetic oil was used. Our car was no where near as beautiful as the one in the picture, it was red and a fastback, that's about it! The Cutlass was my wife's car, from 1990 to 1996 this car was our winter beater, it would sit all Summer and my wife would drive it in the Winter. Previous to our moving North, this car always sat in an underground parking lot. Now it got to sit outside. Every Summer I'd start the car once a month. Every once a month start saw a draggy start and lots of clatter from all the collapsed hydraulic lifters that would take almost a minute to pump up. I remember thinking that the battery was going to check out one of these times as the engine turned over quite slow, but not slow enough for me to think the battery was toast. I'd cringe listening to the "clack clack" of collapsed lifters and what seemed like an iternity for them to pump up, something like a full minute before the clatter stopped! Now came the car's first experience with below -40deg cold starting and even though it was plugged in all night, it wouldn't start, the engine couldn't make enough power to over come the drag from the petroleum oil. Every day I'd have to get up an extra 30 minutes earlier to jump start this car! I did this for a week and then said, "ENOUGH... you're getting Amsoil!" Amsoil solve the bitter cold start problem like I knew it would, I never had to worry that my wife wouldn't be able to start the car, it fired right up. The paradigm shift part and why I'm telling you my experience with this Oldsmobile is what happened, (now with Amsoil in the sump) the next summer when I started the car for the first time after sitting for one month, and what happened afterwards with every future start after one month of sitting. "Oh you poor car...! " What does a draggy battery and clack clack of collapsed lifters mean to you? A dry start means almost zero lubrication and for even one month of sitting for our Oldsmobile, this was too long for petroleum oil. What a change in the way this car ran. This is my Moto-Guzzi 850T . I ran my Guzzi on petroleum 20w-50 motorcycle oil before I learned of Amsoil. The cylinders on this motorcycle are a sideways 'V" and I was very familiar with the fact that you could not rest your hand on the top of a cylinder for more than a quick touch as it was too hot. This was 'flat land' riding at a constant 60mph. I reconfirmed this 'quick touch only' too hot to rest your hand on the head on petroleum oil test before I changed this motorcycle over to Amsoil to see if I could feel any difference. Was there any change with my 'touchy feely test'? YES! With Amsoil 20w-50 motorcycle oil in the engine, now at a constant 60mph on the flat I could rest my hand for a solid 5 seconds before the heat became too hot. Less friction, less fuel being burned to do the same work, (push me down the highway at 60mph) and a cooler engine.